While doing work on the National Geographic special “Sunken Treasures of the Nile” a significant archaeological find was made. Philippe Martinez discovered what we have been calling “Stela M” that contains the first description ever found of how the 1000 ton obelisks were moved. Philippe needed gigapixel detail documentation of the surface so that he could have a good record of the surface for later study. Unfortunately the Stela had fallen over from it’s original position and was facing the ground making a “head-on” photo impossible. Due to the tilt of the Stela there was only a few feet of working space in front of the stela, it was impossible to get far enough away to shoot a traditional gigapixel image. To make matters worse thieves had stolen the images of Ramses and rolled boulders under the Stela making it even more difficult to access. 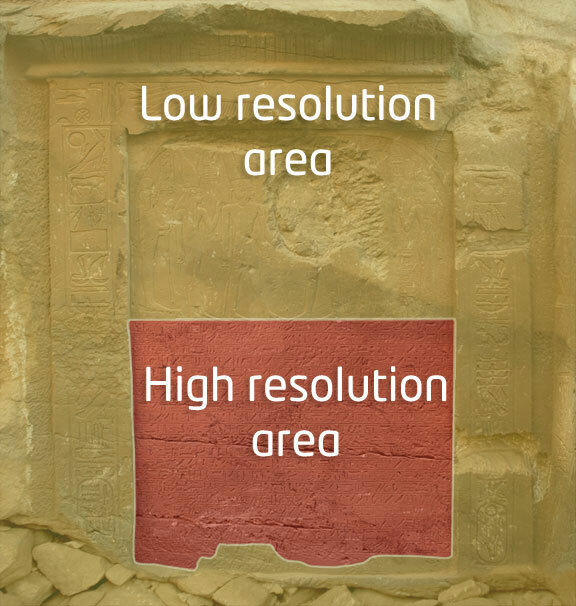 Our solution was to take a 50 mm lens and take 100s of close up macro photos of the surface of the Stela, photogrammetrically calibrate them into a laser scan taken by Carlos Velazquez of Epic Scan and then re-project them onto the surface as a texture. This required getting the exact camera positions and rotations relative to the geometry and was achieved through some custom software written by xRez pal Simeon Basset and xRez Studio’s Greg Downing. 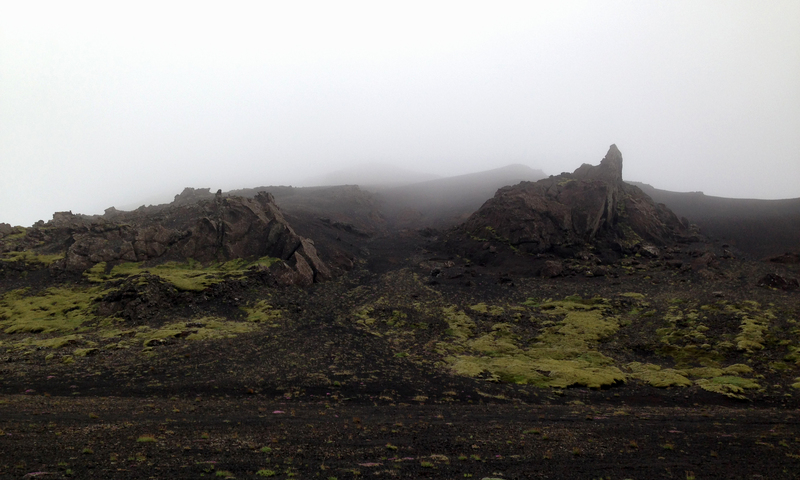 The images were then blended together to create a gigapixel image that would be impossible to capture by other means. View the following animation (full screen to see the details) to see how this texturing process was achieved. On the left side of the image you will see the camera position when the photograph was taken, in the middle you will see the resulting 21 megapixel photo, and on the right you will see the photo rendered as a projected texture. This is the final interactive view. Use the “outline” button to turn the Egyptologists drawings on and off.